The government is being urged to rethink its company car tax regime as latest figures show how increased driver take-up of personal contract hire (PCH) is having an impact on average CO2 figures. Figures from the latest Quarterly Leasing Survey carried out by the British Vehicle Rental and Leasing Association (BVRLA) show average CO2 for newly registered lease cars rose to 111.8g/km in Q2 2017; up from 110.8g/km (+0.9%) from the previous quarter and up 0.7% on the same period in 2016. The BVRLA credited the rise to the increasing share of PCH vehicles within the wider BVRLA leasing fleet. Latest data from BVRLA members shows the PCH sector grew 36% year-on-year and 7% quarter-on-quarter. The average PCH car on the BVRLA member fleet had emissions of 120g/km CO2, compared to 111g/km for those on contract hire. The trend for increasing average new car emissions was also seen in the wider market, where average emissions for all new car registrations rose to 121.3g/km, up by 0.7% year-on-year and the previous quarter. The BVRLA data also showed that personal contracts are driving growth in the leasing sector. Total car leasing – covering all leasing types – grew by 8% year-on-year, down from 11% in Q1 2017. The total business fleet leasing market for cars and vans was up 7.6% year-on-year to 1.35 million, with the car sector up by 2.4% to 979,000 year-on-year, while the LCV sector grew by 14.9% to 371,000. Year-on-year growth for both segments has continued to slow in 2017, with the business fleet leasing segment actually shrinking by 1% compared to the first quarter of the year. BVRLA chief executive Gerry Keaney said: “Personal contract hire continues to drive growth in the car leasing market and this is having a clear impact on the automotive industry’s long-term goal of reducing CO2 emissions. A resurgence in petrol vehicle take-up by fleets may also be behind the increase. The proportion of diesel cars in the BVRLA fleet remained static at 74.9% in Q2 2017, but fell 2.5% compared to the same period in 2016. 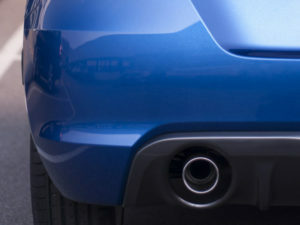 Earlier this year, the Society of Motor Manufacturers and Traders (SMMT) warned that an ‘anti-diesel agenda’ would halt further progress on emissions reductions, with Keaney having backed up the organisation’s comments, saying that the trend of falling CO2 emissions could be “about to end as the Government goes in search of greater tax revenues, particularly from company car drivers”. Changing emissions technologies and legislation are also playing a role, as the increased use of systems such as Selective Catalytic Reduction and tuning for emission control for EU6 means there’s been a slowdown in the decline of CO2 emissions on diesel engines recently.